The name means 'King of the World', a confident enough title for this brand, originally founded in 1882 by the Antonio Allones company. Many connoisseurs would rate it among their favourite brands; these include the film producer Darryl F Zanuck, the former head of 20th Century Fox, who incidentally once owned a plantation in Cuba, and the British tycoon Sir Terrance Conran. 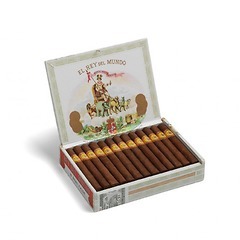 These Cuban cigars are well constructed, light to medium flavoured with a subtle aroma, with smooth, oily wrappers, particularly the larger sizes. 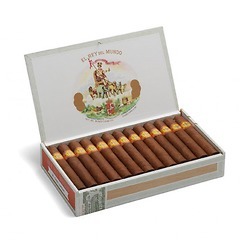 Again they are a good beginners cigar, and very suitable for daytime smoking.